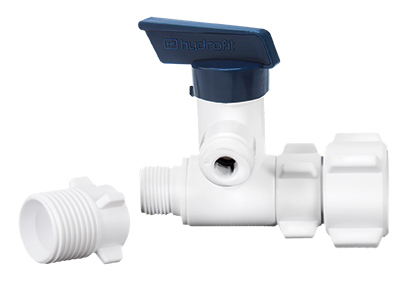 Chemical Compatibility: HYDROFIT™ – Quick Connect Fittings can be used on liquids other than potable water. We recommend that you consult with our Chemical Compatibility Chart to determine if they can be utilized under your specifications. You may also contact us to further verify compatibility. 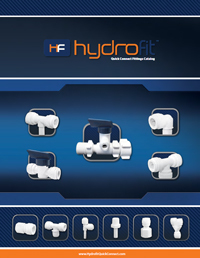 are designed to provide all the typical benefits and ease of use of a quick connect fitting while providing an user friendly ergonomically pleasing design. are designed to meet strict market requirements and are manufactured under precise tolerance levels, making them suitable for food and water use. are manufactured using FDA approved materials and are certified by NSF to NSF/ANSI standards 61.